Buongiorno! 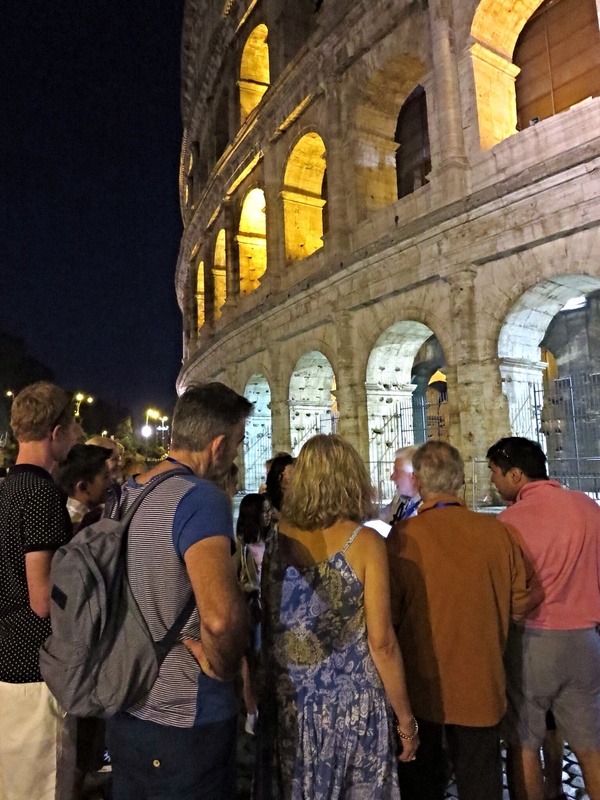 Major item on our schedule today, Colosseum and Hypogeum (underground) Night Tour…but until then…I’ve got an idea….let’s walk. Andiamo! 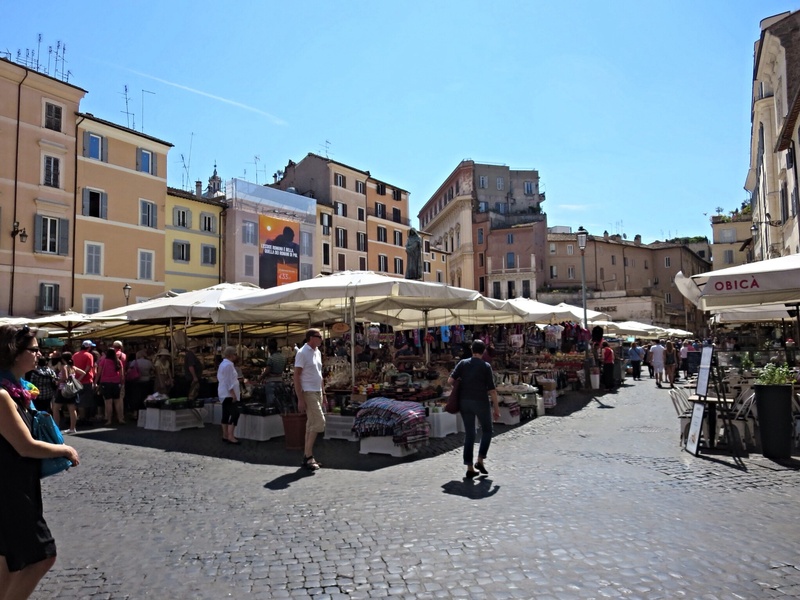 As I mentioned yesterday, Campo de Fiori has a market in the mornings. 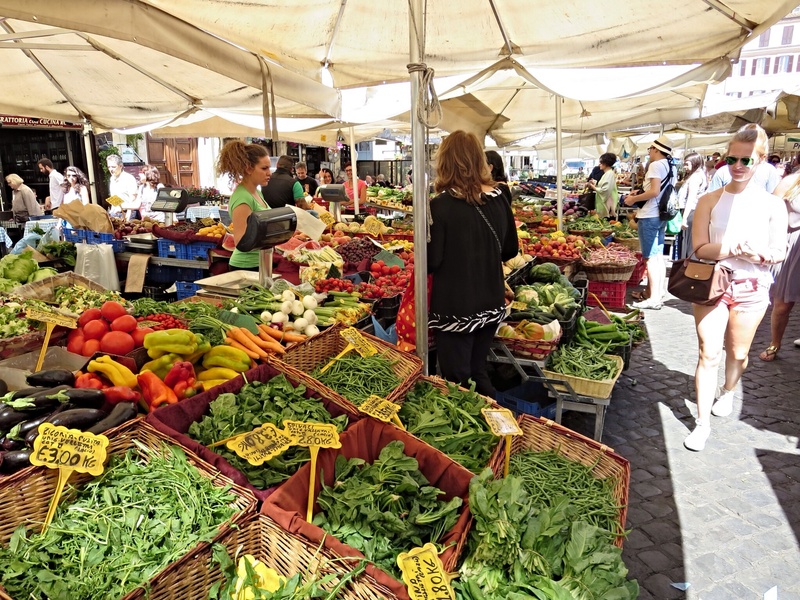 Like most Italian Markets, you can buy just about everything under the sun here. But I like to look at the food! Finding nothing that really worked with camminare e mangiare, I continue my walk until I see a pastaccieria with these in the finestra. They called it “ravioli” and I think they said it was stuffed with a hazelnut filling. 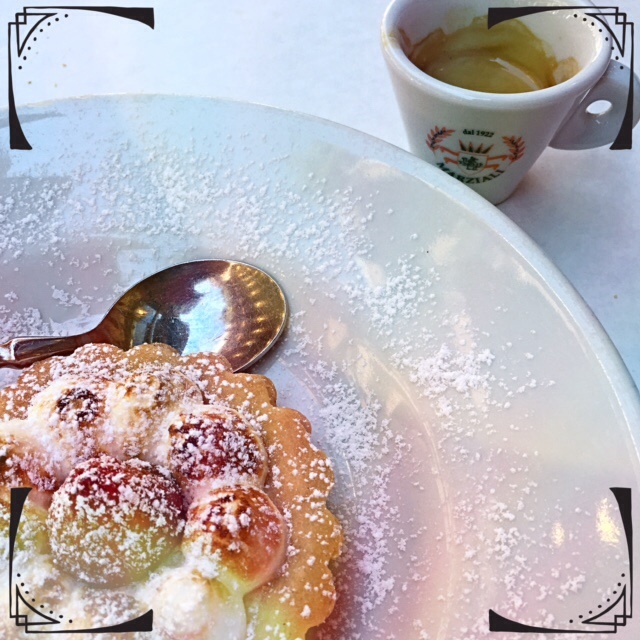 I’m in…a powdered sugar covered breakfast sounds just the thing to get this body started. As I walked, I showed passer bys how good my choice was. I didn’t worry about cleaning myself off until the end. At that point, two smartly dressed woman gave me a knowing look and laugh. 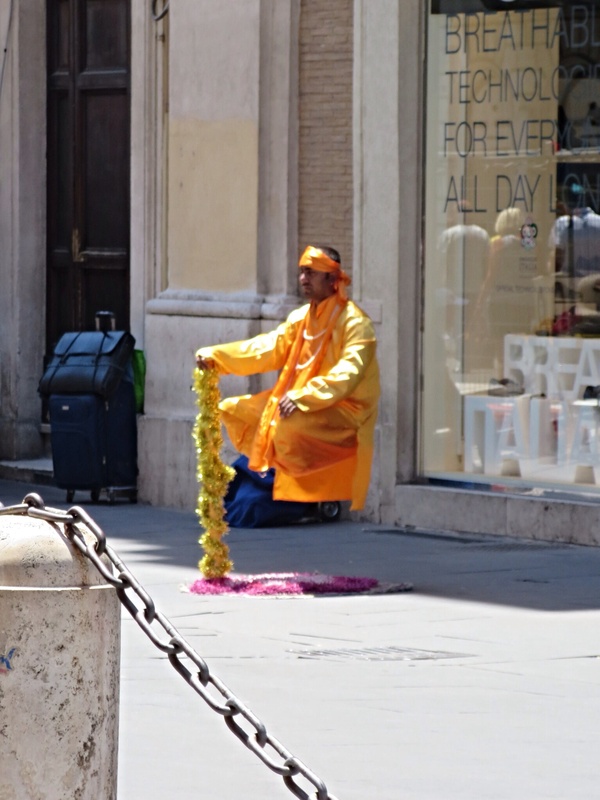 From Campo de Fiori, it’s a short jig and jog to the other famous piazza, Piazza Navona. 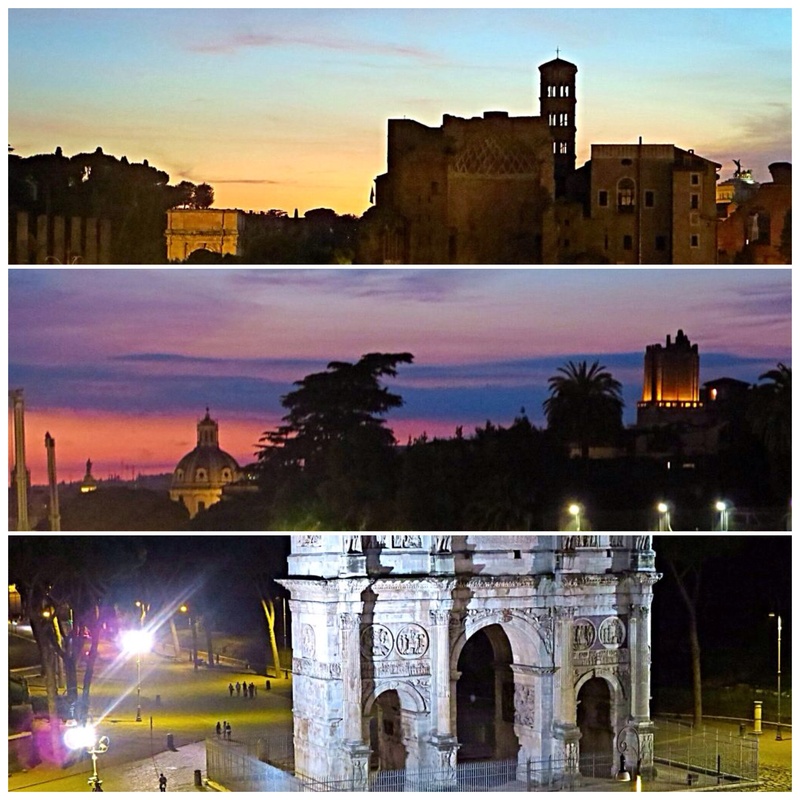 Both of these beautiful piazzas hold great memories for me. 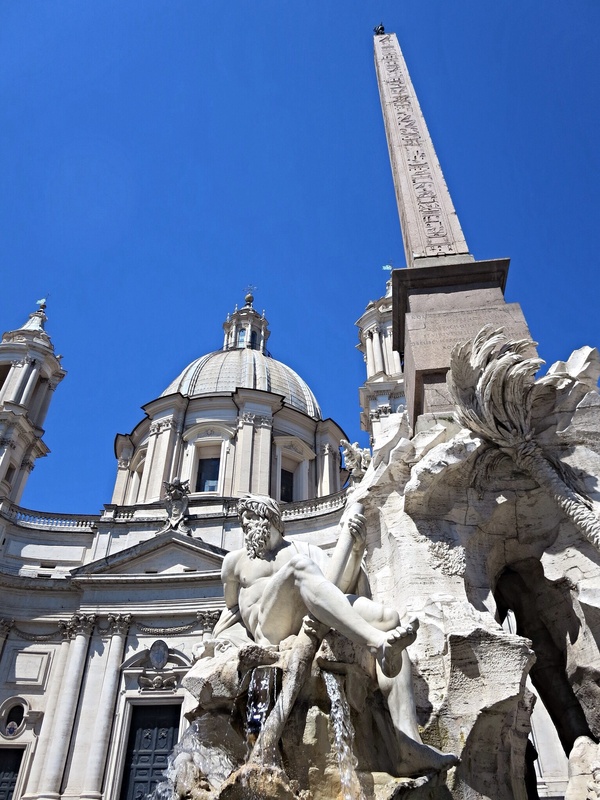 Bernini’s Fontana dei Quattro Fiumi (Fountain of the Four Rivers) is one of my favorite sculptures in Roma. 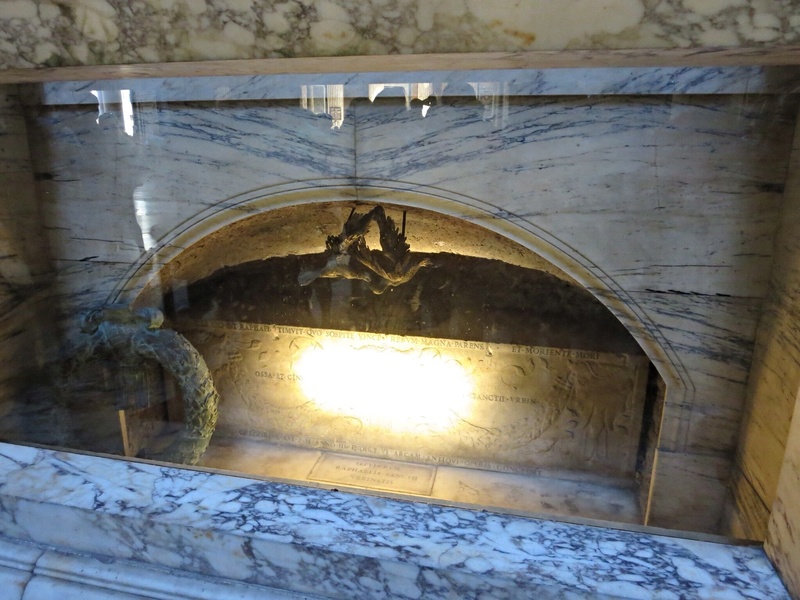 This fountain was designed in 1651 for Pope Innocent X. The rivers represent four major rivers of the four continents through which papal authority had spread: the Nile- Africa, the Danube- Europe, the Ganges- Asia and the Rio de la Plata representing the Americas. 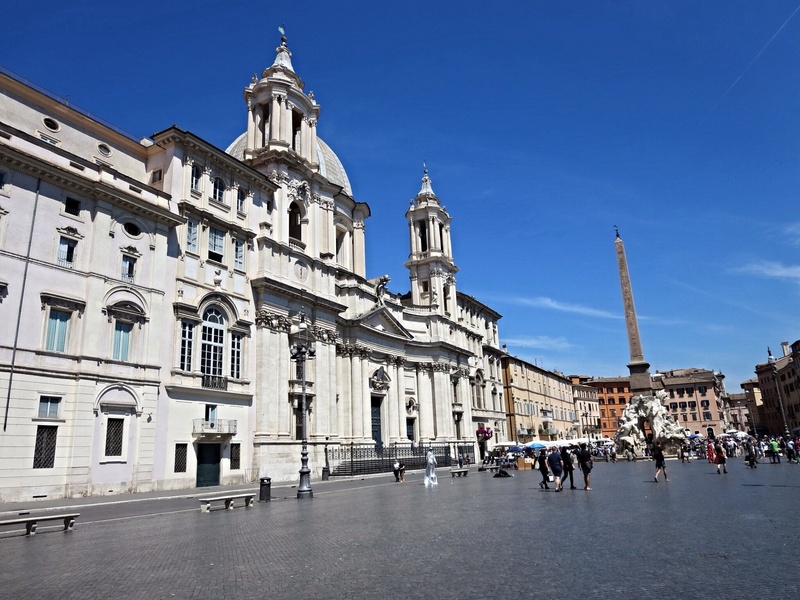 Like many of the historic art pieces of Italy, Bernini’s design was selected in competition. 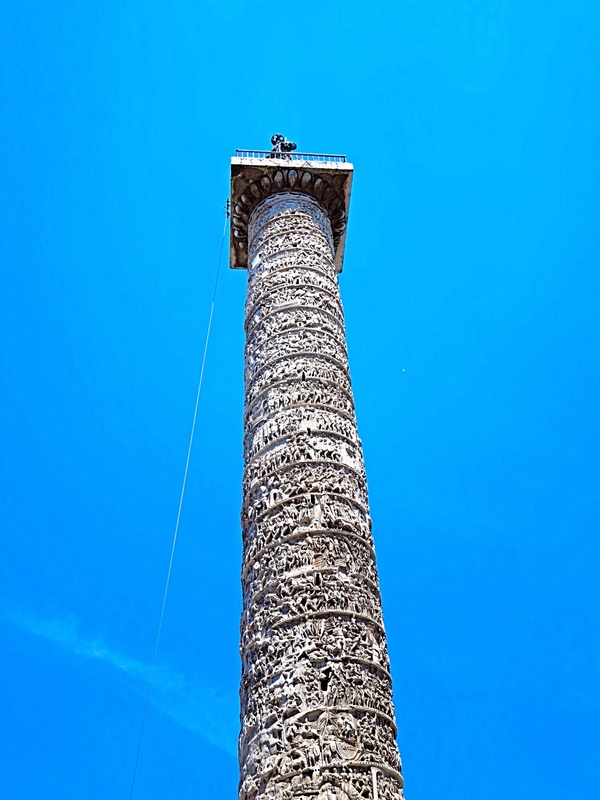 The great obelisk was brought to the site by Emperor Caracalla. It had been buried for a long time along the Appian Way. 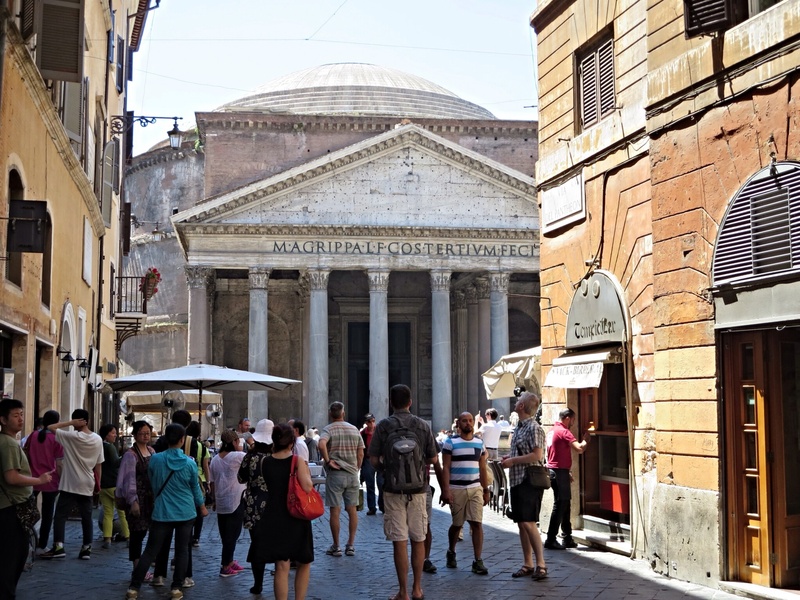 My plan from here was to head to the Pantheon. Although I have seen it during my 3 other visits, I cannot pass it up. Remember how I bragged that I was comfortable navigating around the city? 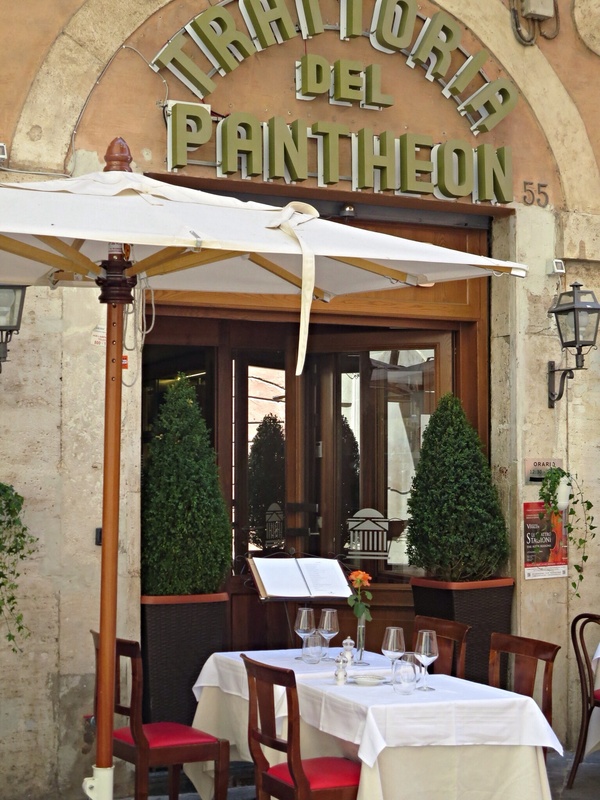 Well that all changed as I attempted to locate the Pantheon. 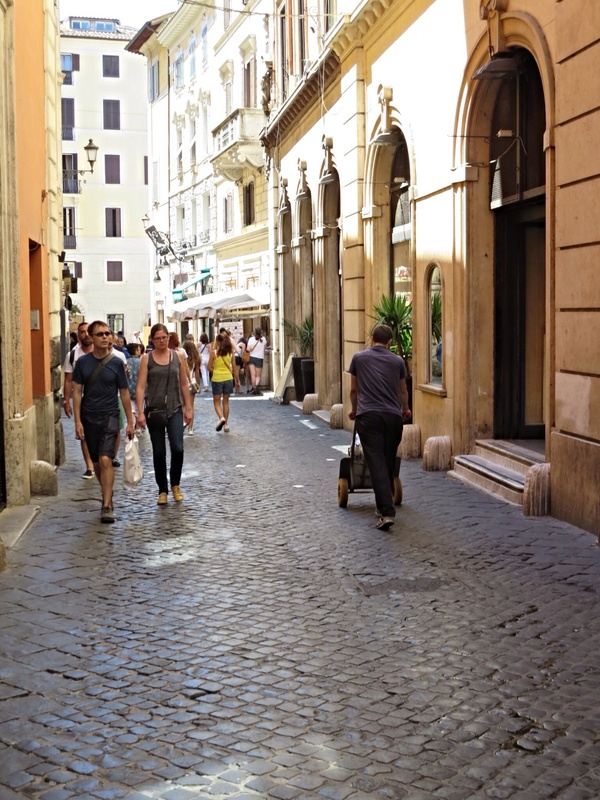 It is not far from Piazza Navona, but for the life of me, I just kept getting turned around and turned around. So, although exasperated, I made the most of my walk. Two ideas to take home in this window. 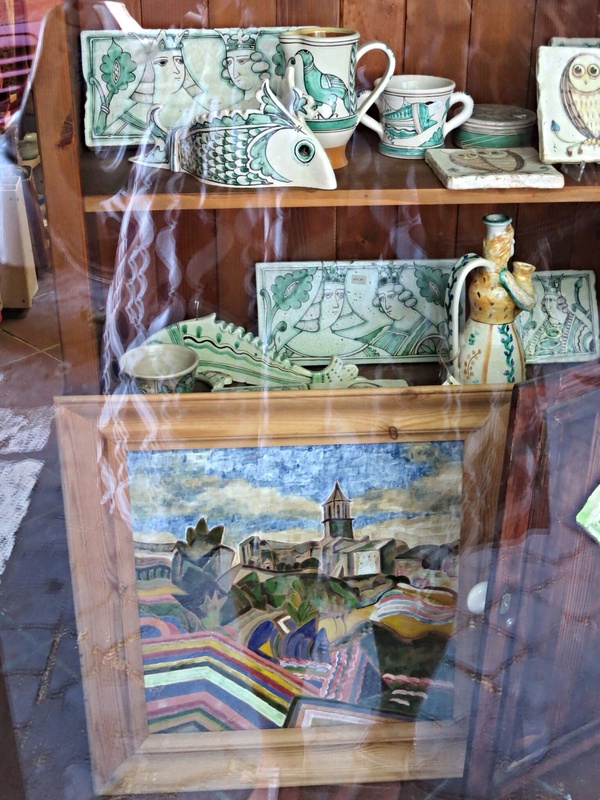 I like the ceramic fish and the style of the painting below. This piece kinda reminds me of the Chihuly Inspired project my students did 2 years ago. Love this. 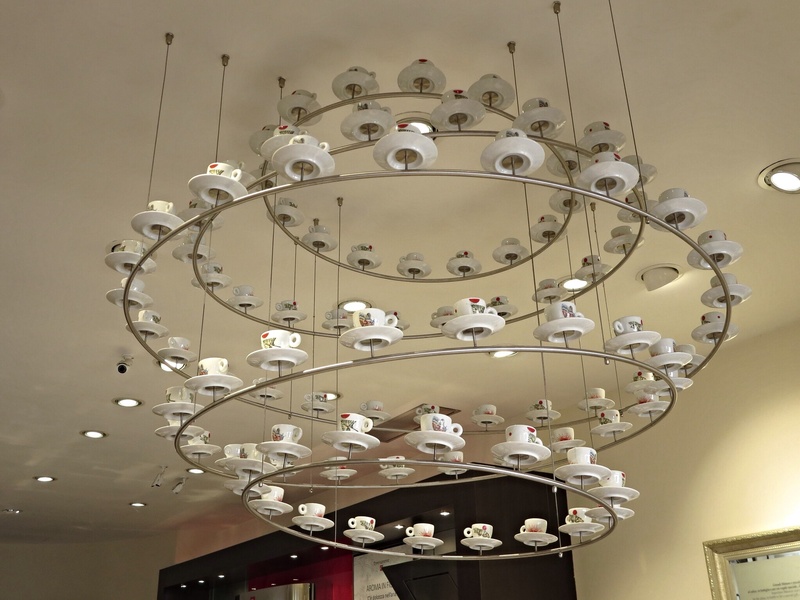 But I have molto more tazze di caffe to drink to create something like this. As this guy walks by me with his milk delivery bumping along the cobblestones, I can’t help but think whipped cream will be what arrives instead. 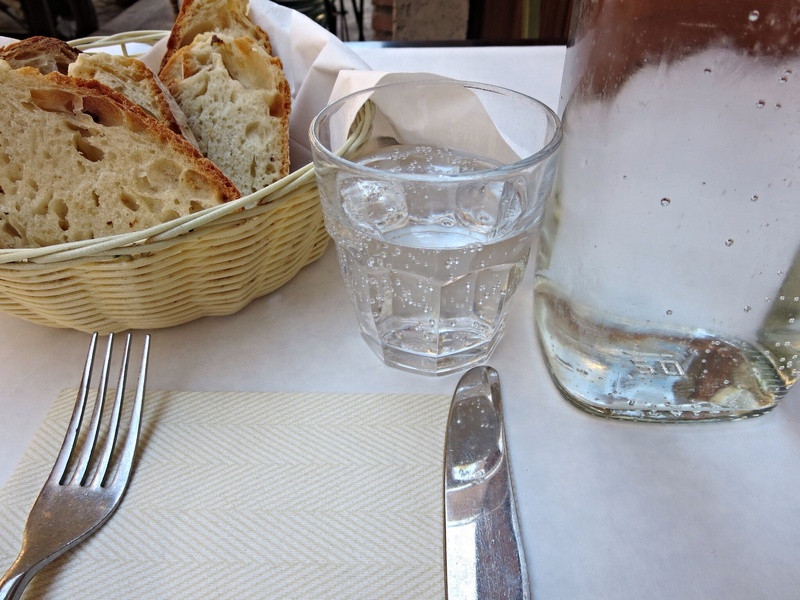 Molto pedi and directions from several locals later, I see this trattoria and know I must be close. And sure enough. Pretty magnificent no? 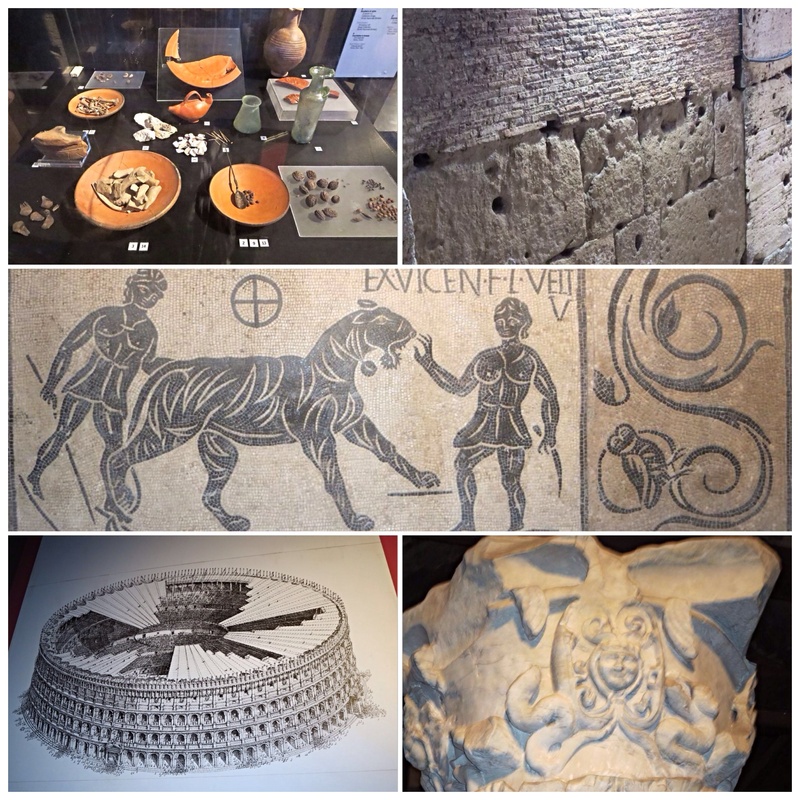 Studying Ancient Rome is one of the highlights for me of Art I’s Art History. I would love to be inside when it snows wouldn’t you? 1. Do not play your long wooden horn thingy mid morning in a residential area. 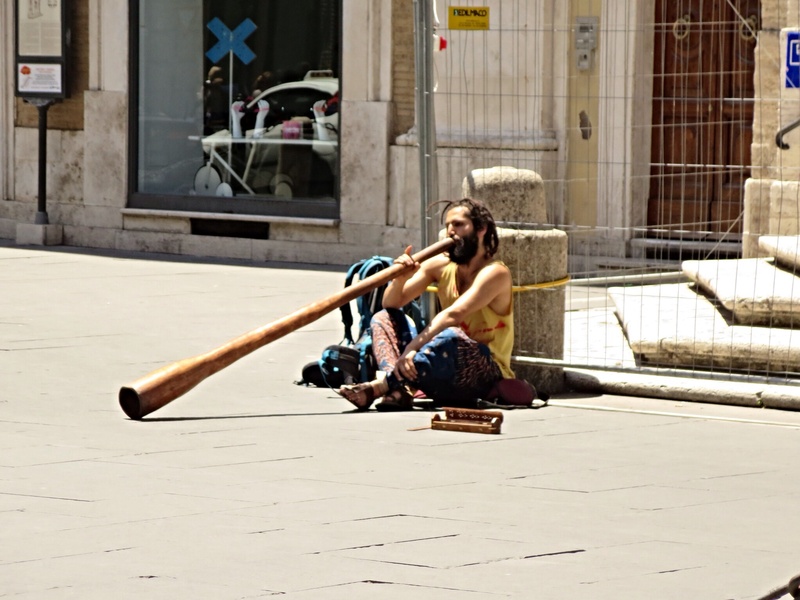 Earlier today, I heard this guy, I guess it’s called “playing” his horn(?) and approached just in time for a guy 4 stories above to yell down at him. Wanting to just live and let live, the guy got up, looked up, shrugged and went to find another venue…and here he is now. I am sure this is a hoax, but I CANNOT figure these guys out! Ideas? 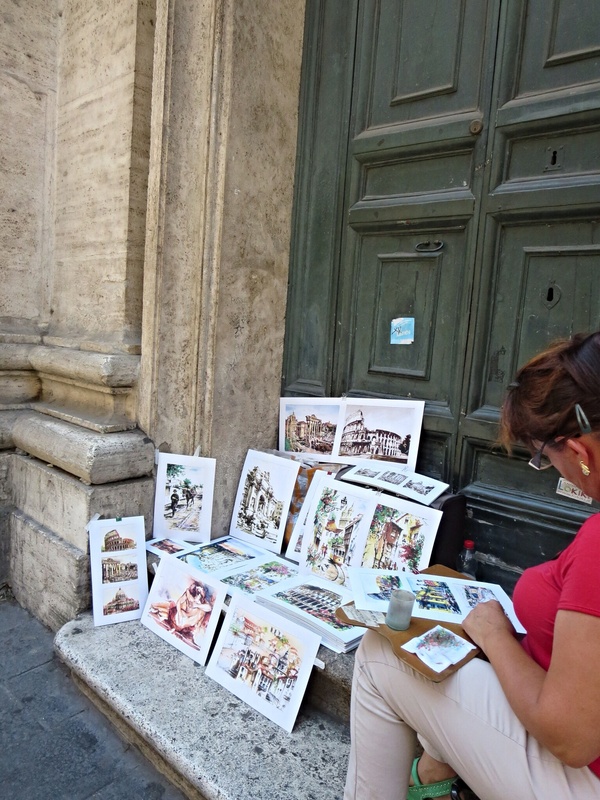 And as far as sidewalk “painters” go…I have seen the same paintings displayed by many. The more cunning, have out water and paints, brush in hand, “working” as you walk by. 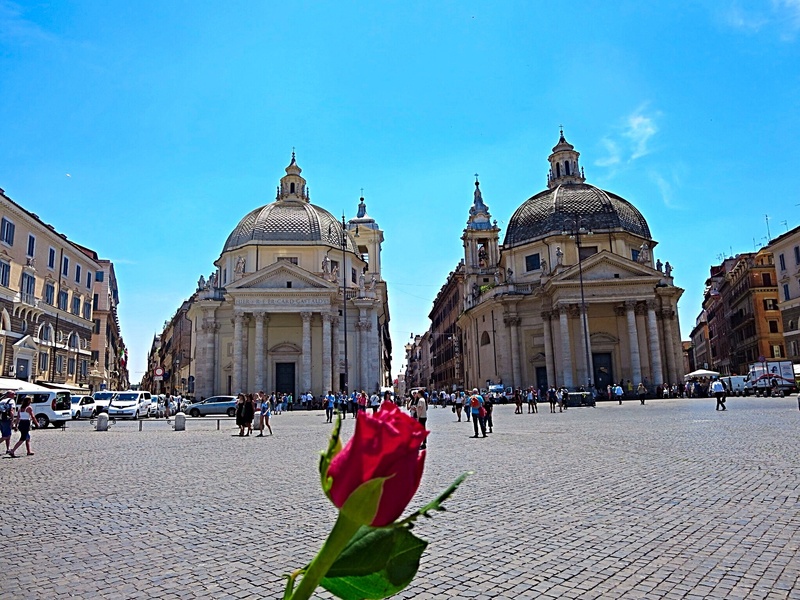 Piazza del Popolo literally means “People’s Square” and was the furthest point of my roaming. See the rose in the foreground…another thing I’ve learned…NEVER give money to people trying to “give/gift” you something. 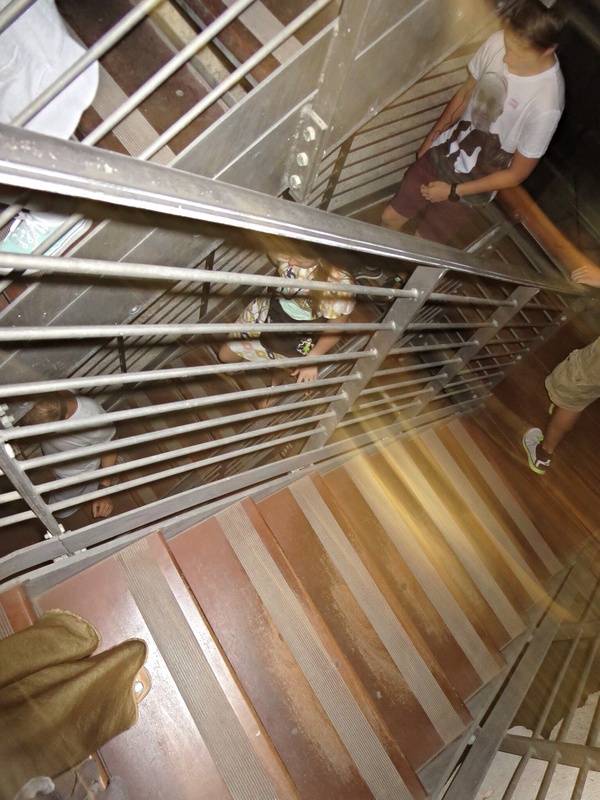 I did my best to avoid this guy, but as you can see there were, amazingly, no crowds to weave through. He shoved 2 roses on me, one for me and the other for my husband, and wished me a happy, happy marriage. I caved and gave him a euro that I had in my pocket…although it was a “gift”, he was not happy with the amount and took one of the roses back. I promptly dropped the other. I knew better than that….maybe hunger was a part of my weakness. 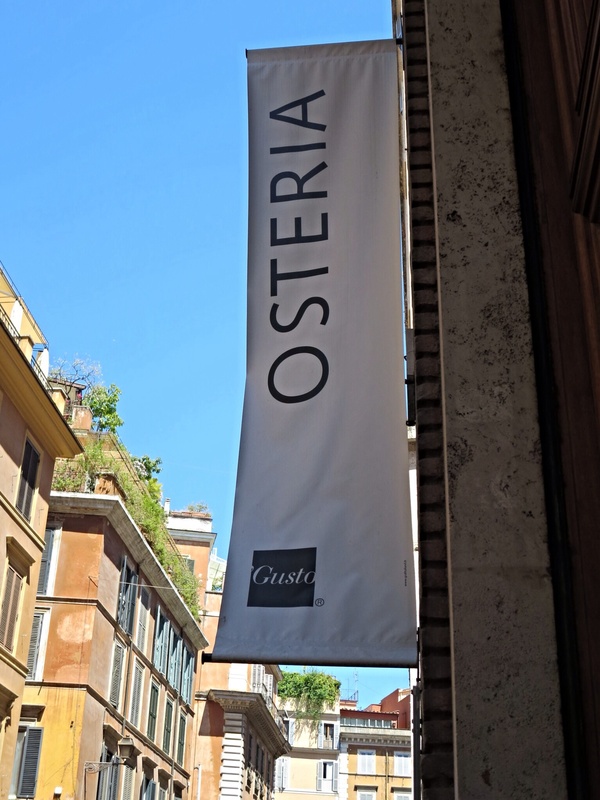 With Osteria Gusto around the corner, I think, “perche no?”. My choices for lunch were perfect. 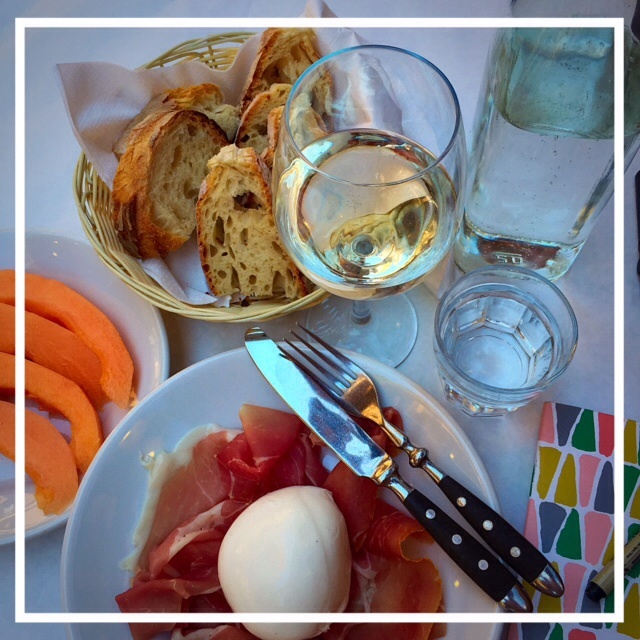 Proscuitto and mozzarella were perfection and of course I needed some melone anche. 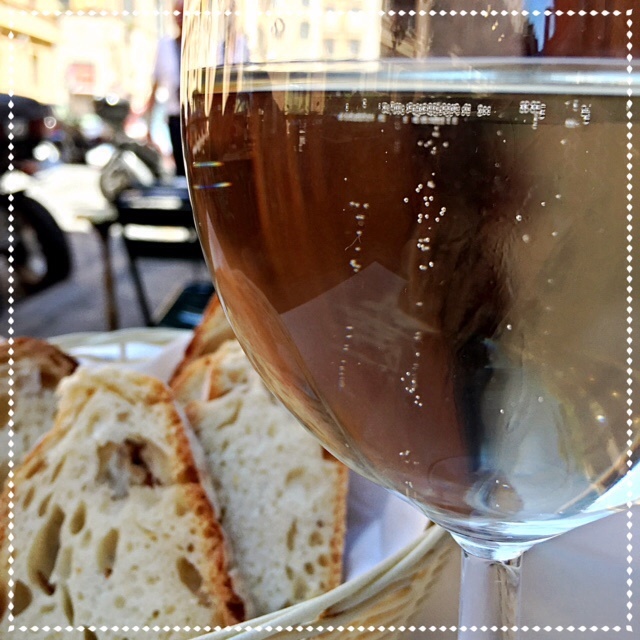 I enjoyed a glass of Prosecco in my friend Sandy’s honor. I had planned to order an espresso, as I have a late night tonight, but I at first declined dolce. The waiter gave me such a disappointed look, that for the second time today, I caved. This time, I was not upset with myself. 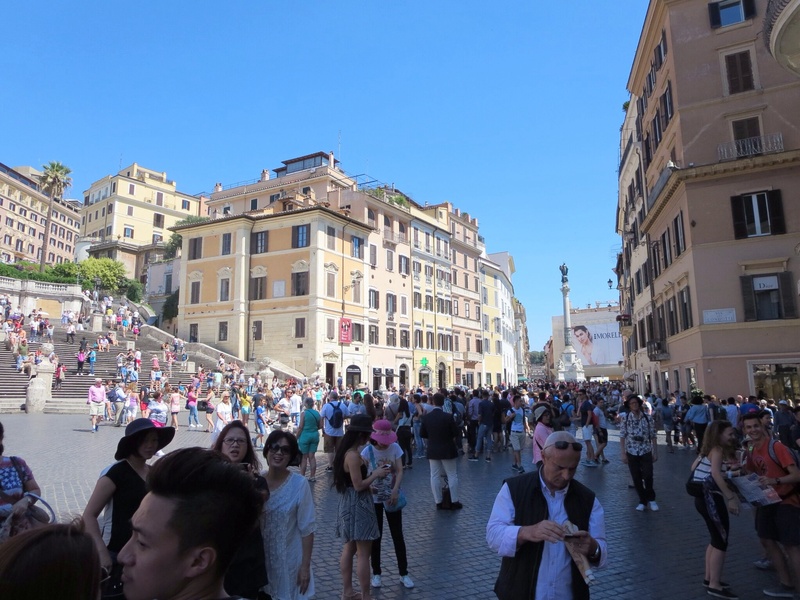 From Gusto, I walked by the Spanish Steps. I took this photo just to show the crowds out and about. It really is crazy. It makes you think you are at an amusement park, not walking along real streets. 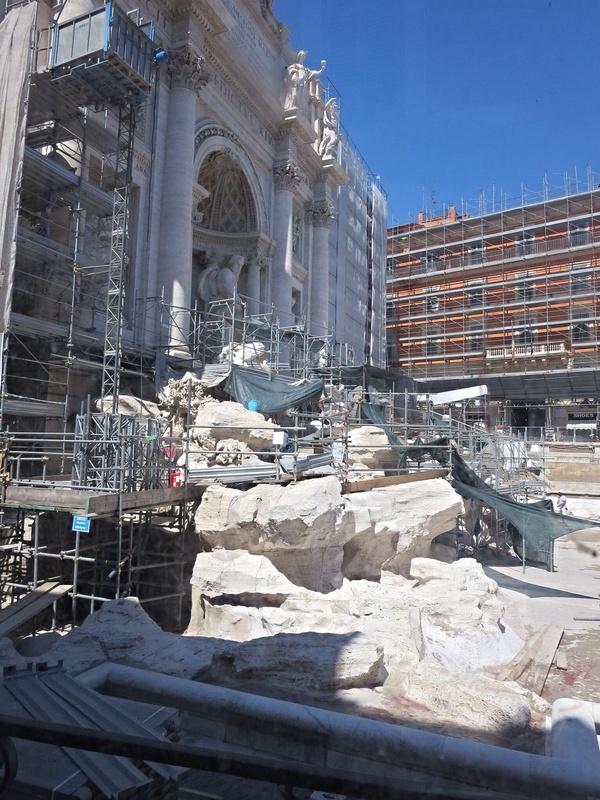 I had heard Trevi Fountain was being renovated, but it was on my way. I feel bad for people that miss seeing this iconic fountain in all its grandeur, but I understand that renovation is necessary. Back to the room to clean up a bit and then I headed to Piazza Venezia where I am to meet my tour. I am early (certo) so I sit on the steps of the Victor Emmanuel Monument, watch and wait. Guess what? There are 5 guys selling “selfie. selfie. selfie.” sticks. An unmarked car drives by and honks. All 5 guys put their inventory behind their backs. The guys in the car, polizia of some sort I’m guessing, just stare at them as they crawl by. When the car is out of sight, out come the sticks in unison. One of the hawkers, goes up to a family, and shoves a stick in their faces. At the same time he is enumerating the fine qualities of his wares. The family goes through the many ways to say “no”. No, No Grazie, No Gracias, No No, Really No. I don’t know who to feel sorry for. As time for the tour draws nearer, a small group is beginning to form and then 2 leaders appear, one of whom I have seen on the company’s advertising video. The tour company I chose for this one is Walks of Italy. They get very good reviews and not all companies offer this particular tour. We are divided into 2 smaller groups. My group gets “Guido the Guide” for our leader. 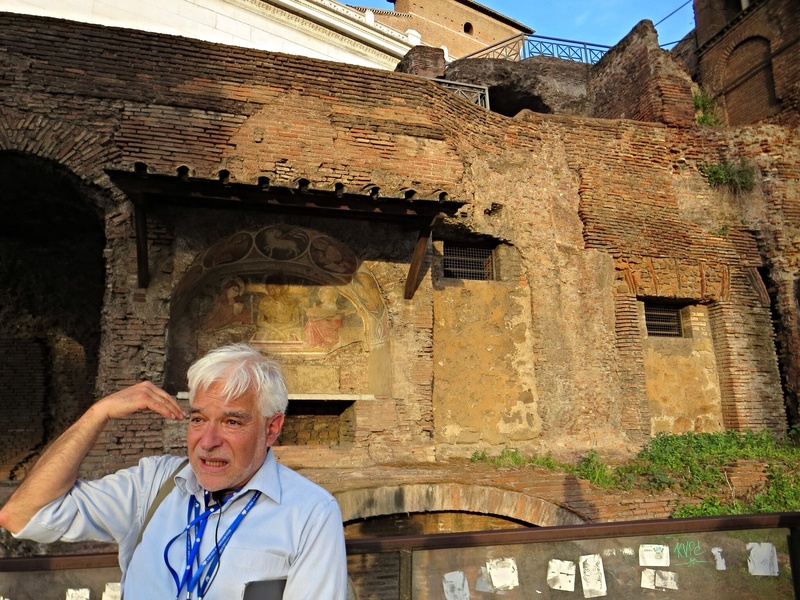 He introduces himself and says the official name of this tour is “The Colosseum Under the Moon”. He then tells us, “Before-a we-a get-a started. I would-a like-a to show-a you a picture-a of-a my-a cat-a.” Funny. He tells us a little bit about the area where we are. It is from Guido that I got the information about the guys sitting in Vic’s horse having dinner. He points out Mussolini’s balcony. He says, “We-a cannot-a judge-a history, but…” goes on to tell us what destruction Mussolini caused and what a “nut-a” he was. Let’s not beat around the bush Guido. We come to a spot I passed earlier. He tells us this is a 4th century condo. He further explains why condos are needed, because there are too many people living in a specific space. He said about that time, Rome had around 1 million residents. The frescoes on the wall were created later in the 13th century. 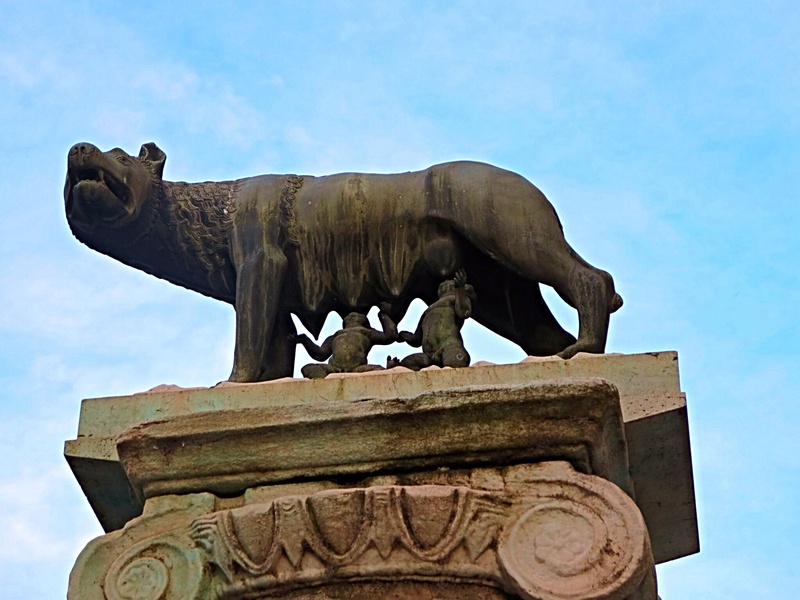 This statue is a symbol I am familiar with, but during my stay in Roma, I gathered a lot more information (some conflicting) about Romulus and Remus. 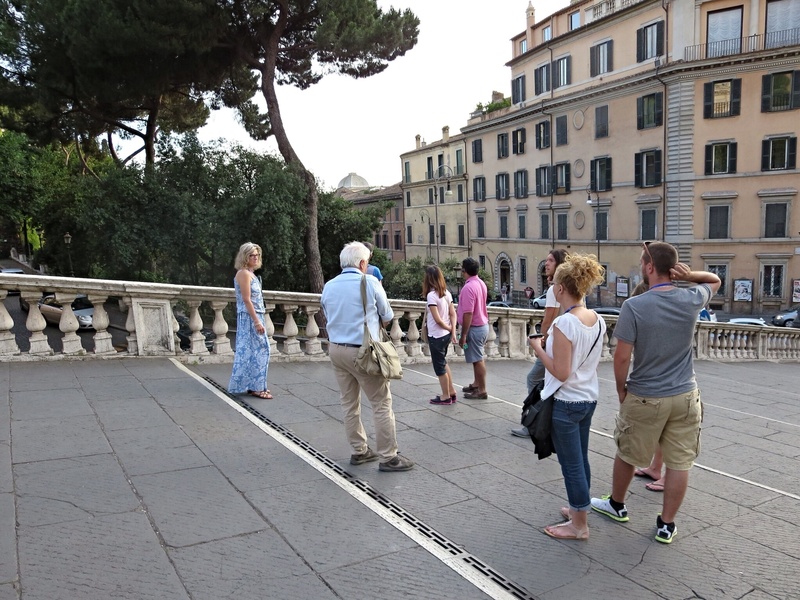 Next we stood at the base of the Capitoline Hill. It is one of the 7 hills of Rome and was the citadel of the earliest Romans. 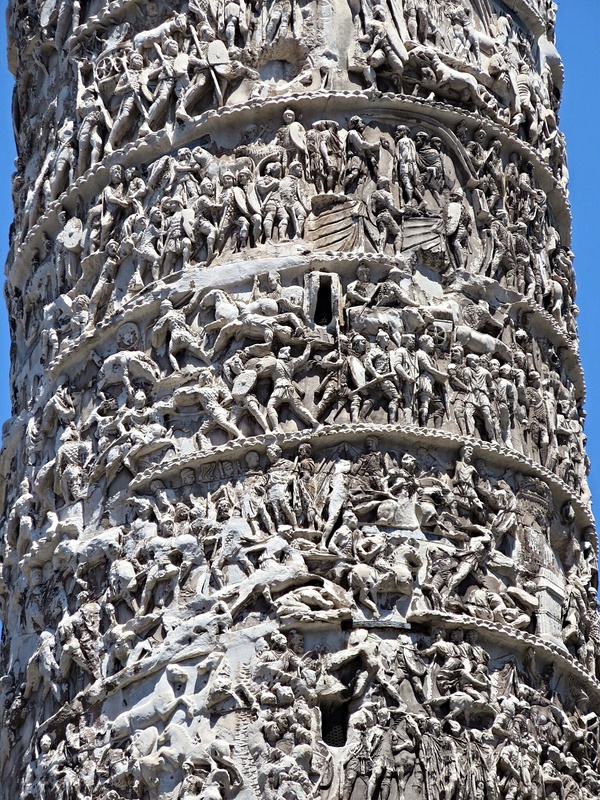 I am currently listening to a lecture series (38, 45 minute lectures by a professor at Penn State) covering the history of Ancient Rome and although it is confusing to me at times, it is always fascinating. The Forum has always been one of my favorite spots in Rome. It boggles my mind being able to walk in the footsteps of such history. Now onto the highlight of the tour, the Flavian Amphitheatre, or as most know it, The Colosseum. 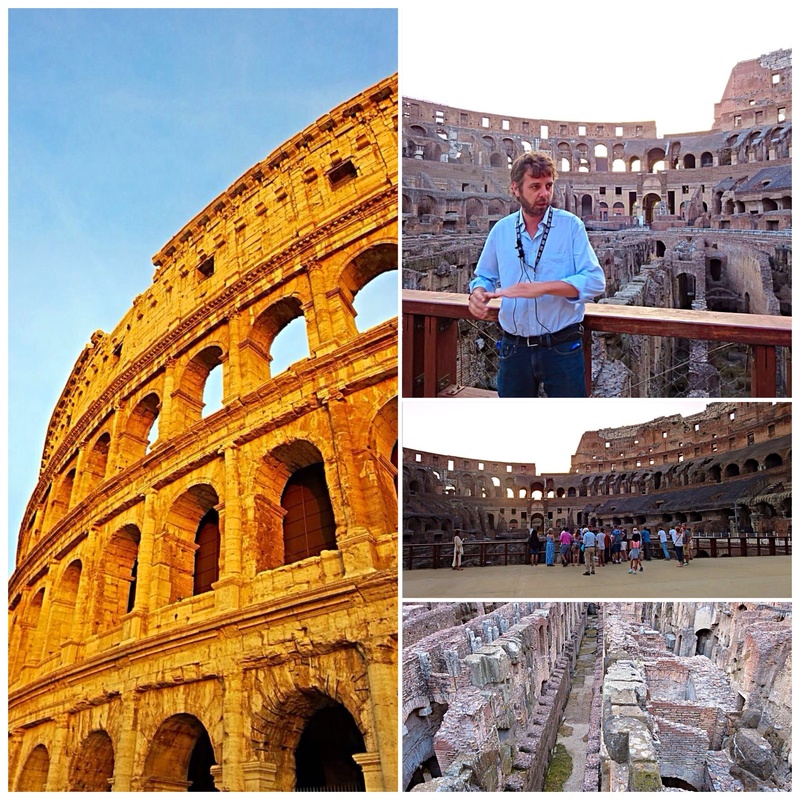 When we entered, we were guided by Francesco, an Art Historian working at the Colosseum. Hearing the historical highlights, I am happy to know we do a great job covering this in Art I. 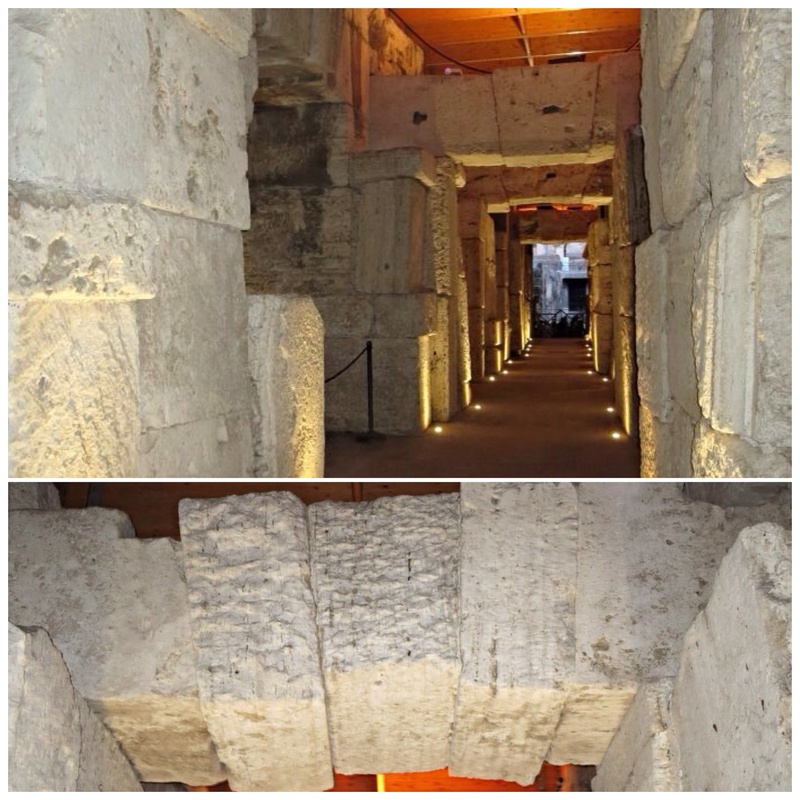 Much of what he shared I was already familiar with, but my main reason for attending was not just to learn more about this iconic building, but to simply be there without all the crowds and be able to enter the hypogeum. Being one of 40 or so in this massive structure was kinda surreal. Although my photos do not do it justice, the sunsetting behind and through the arches was breathtaking. And now we go down. 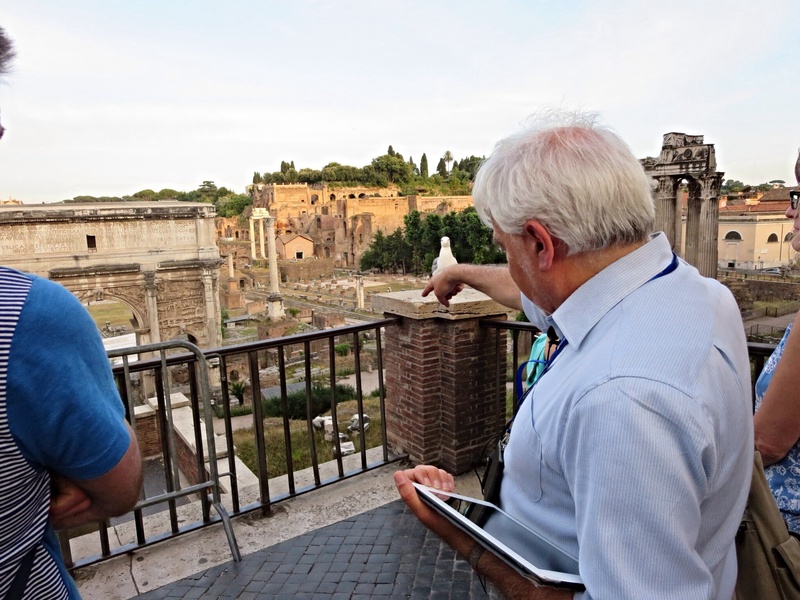 Francesco discusses the architectural and engineering feats of the early Romans. The keystone, he points out, holds these massive stones in place using outward force only. He says how structurally sound this method is…but then adds, “we hope”. Underneath it is dark and quite. 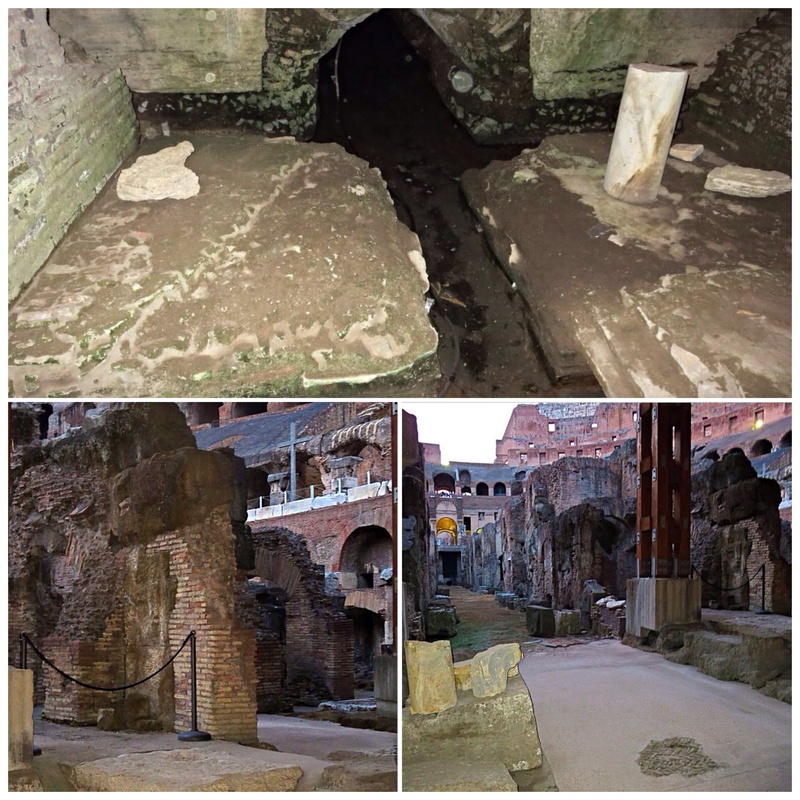 The sound of the water dripping brings to mind the Cloaca Maxima, one of the world’s earliest sewage systems, that runs under the Colosseum. One of the most interesting things I learned was what they have found on site. Just like we eat at the movies and productions, so did the Romans. Dishes, cups, seeds, bones from meats eaten, even toothpicks have been excavated. During our last few minutes, we were allowed to walk around a bit, soak in the moment and take a few more photos. 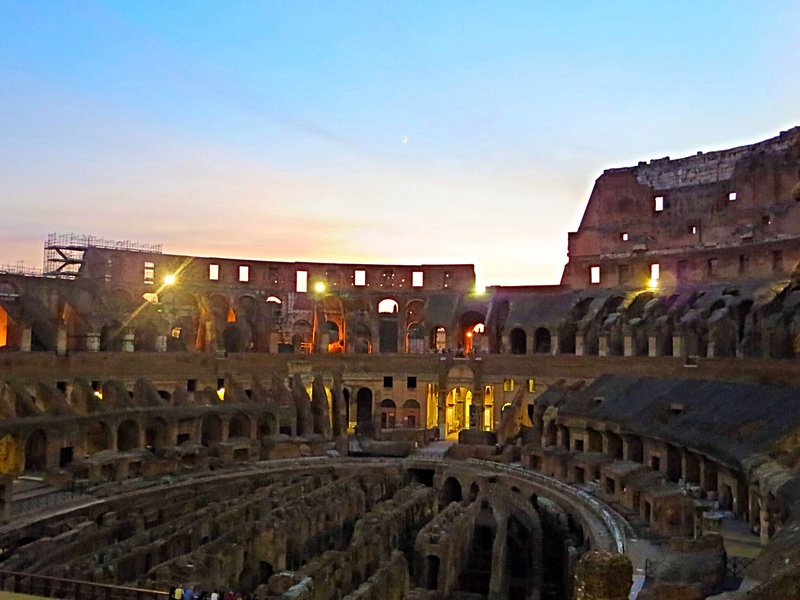 Evening views from the balcony of the Colosseum. After we exit, Guido gives us a little bit more information and then assists anyone needing a restaurant recommendation or a tip on how to get back to their hotel. 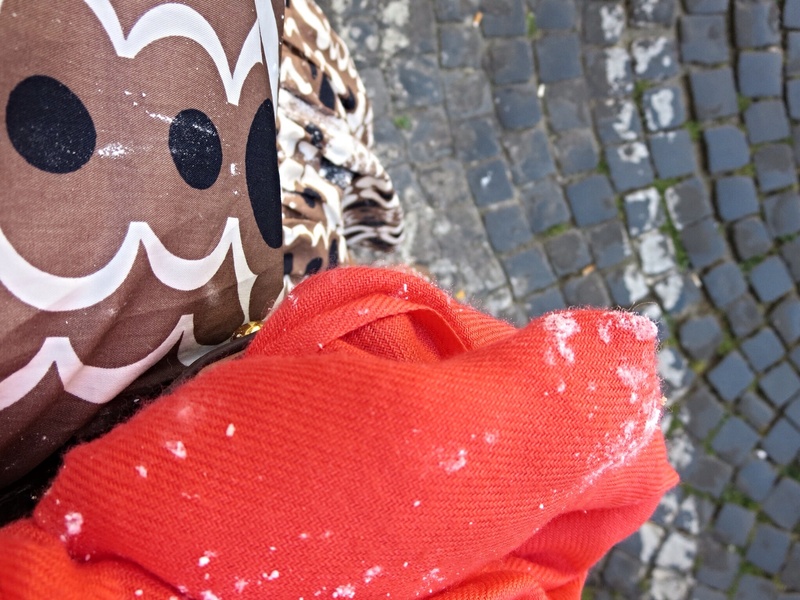 I decide to walk around the exterior one last time, then grab a cab back to Trastevere. It is late but Trastevere is hopping! 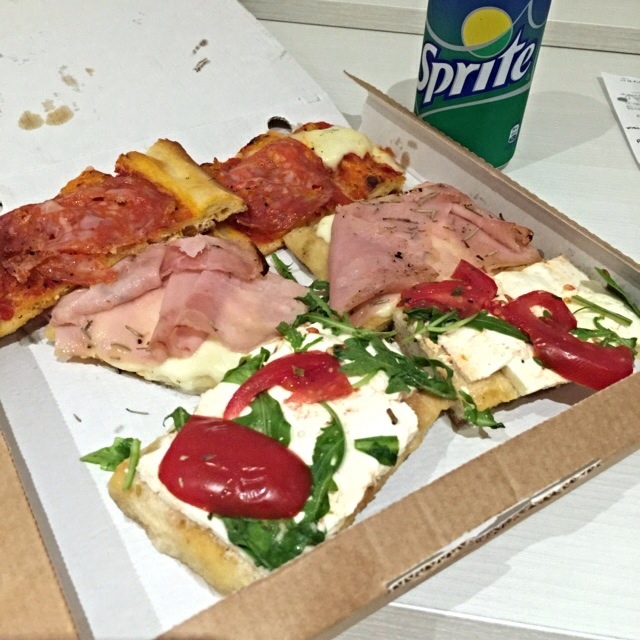 I walk by several trattorias and the waits are long. I instead decided to go back to the spot where we had pizza last night. However, I walk and walk and walk and just about give up when I notice a girl hurrying by me with sacks and sacks of bread in her arms. 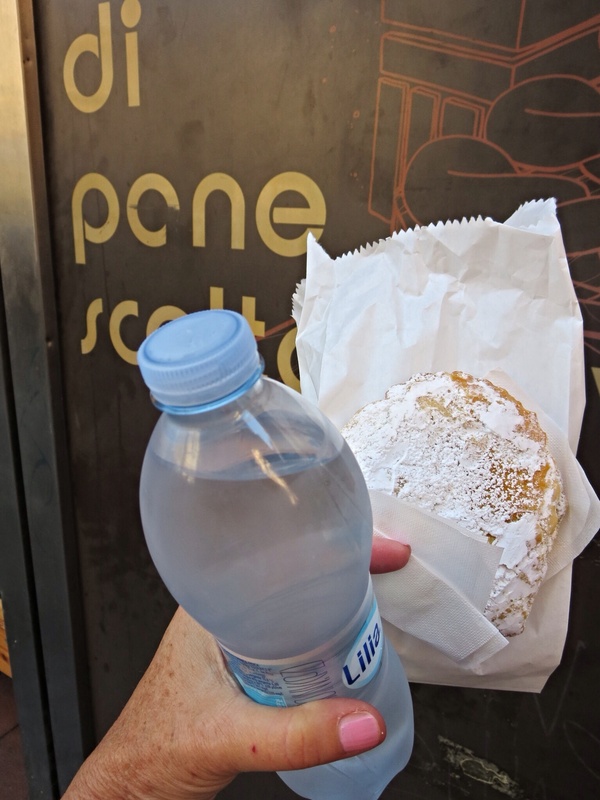 Our guide last night told us that most of the restaurants around here get their bread from that forno, so I head the direction she was coming from and there it was. I told you more research was needed, so I try 3 different kinds. Heading back to my GuestHouse proved to be just as difficult as finding the forno. I am sure people got a kick out of seeing me pass several times carrying my little pizza box. But as long as I can find the Tiber, I can find my way back home. 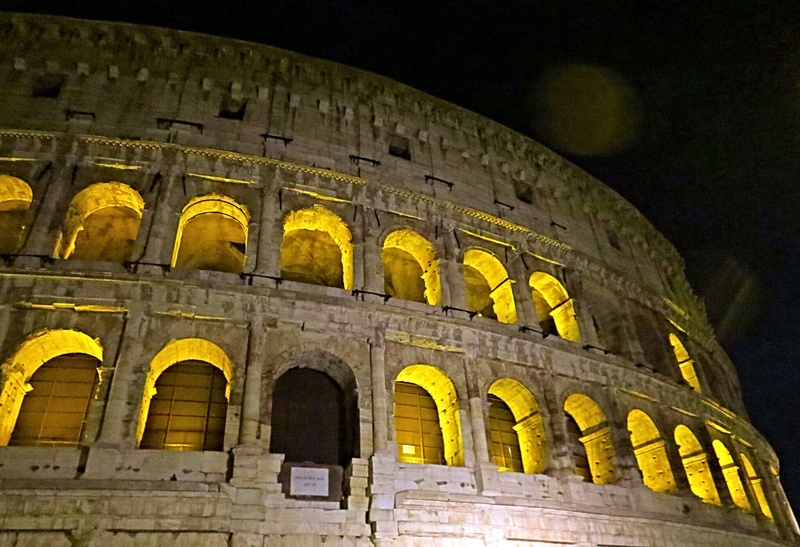 This entry was posted in Uncategorized and tagged Colosseum Tour at Night, Solo Travel in Italy, Walks of Rome by paigetc. Bookmark the permalink. Cin! Cin! Paige😘 I am honored! Hope you’re collecting some of the Prosecco corks for your memory jar. So do they serve house Prosecco? 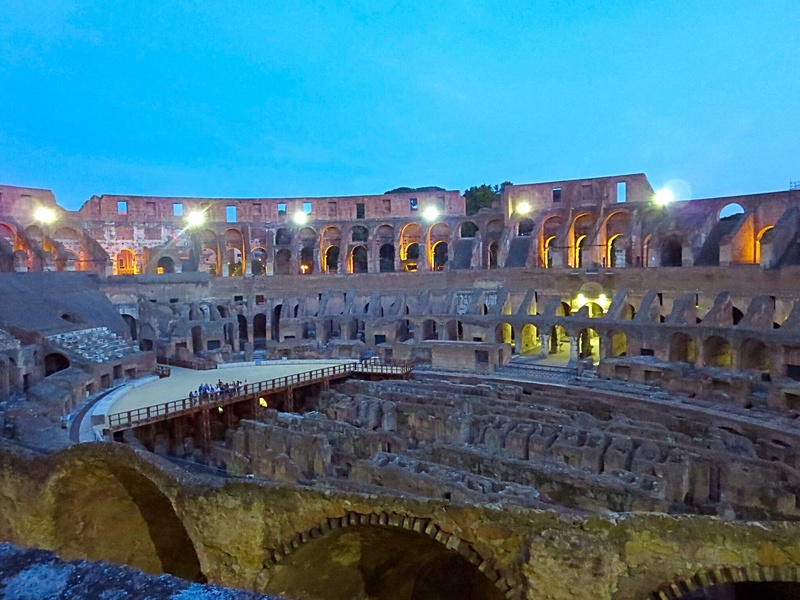 I bet the underground tour of the Colosseum was fascinating. 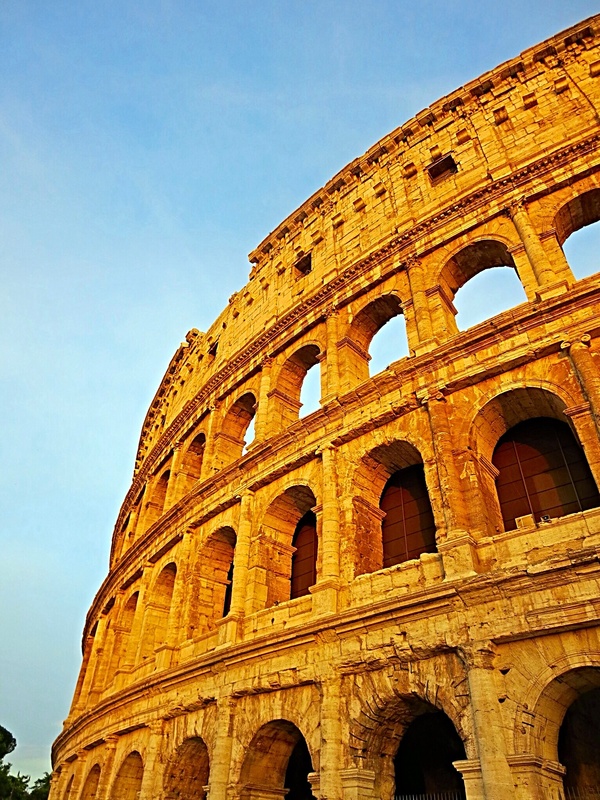 Sixty minutes just did a segment this past Sunday about how the fashion industry is helping to restore and save the Colosseum, as well as the Trevi fountain and other historical landmarks. You are probably aware of this but Jim and I were not. 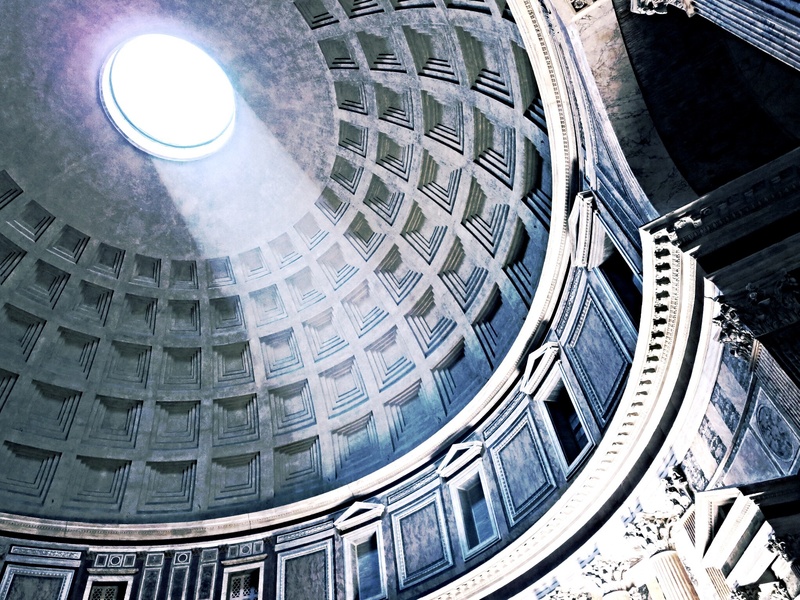 If you want to check it out go the CBS news website and search for Italy-colosseum-becomes-fashionable. It was really interesting. (I was told not to link in case somehow it cost you $$$). You got your Italian tour guide this time! you are really living the life and making me so jealous!